Störst i världen? Det går aldri! The biggest in the world? That will never happen! 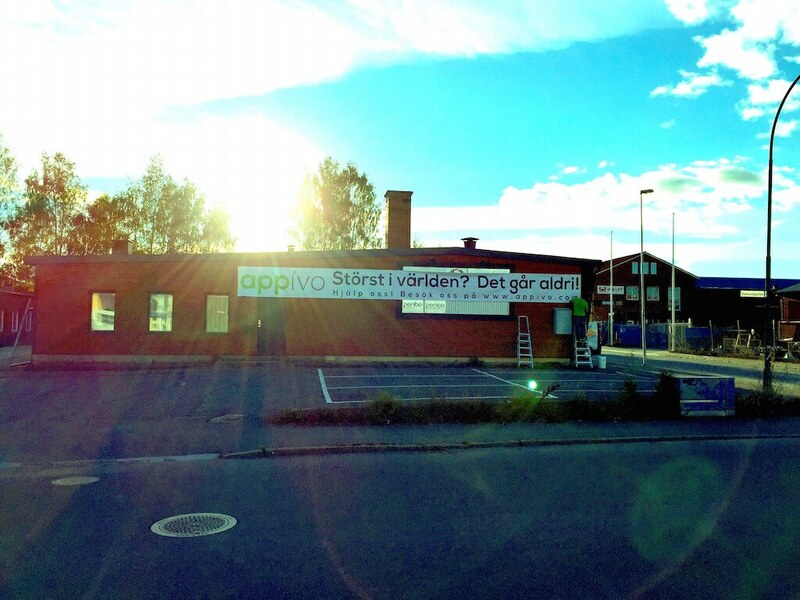 Yes, it’s a blatant message to drive traffic to appivo.com, Facebook, LinkedIn and Twitter. Hopefully everyone driving past will wait until they’re done driving to actually check us out online. Volvo’s safety record implies that drivers over there take safety seriously, though the cumulative driving record in our Örebro office provides plenty of evidence to the contrary. Not to name names, but there was a period of forced bicycle commuting, also called the Appivo Healthcare Plan, Option 2. While everyone supported the banner idea it was Christian who really made it happen. It’s a great idea for a number of important marketing reasons, but the real inspiration came from Christian’s deep-seeded love of using power tools. Well written! Just a shame though that there were no real power tools laying around…. 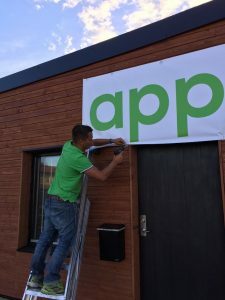 Previous: Previous post: Appivo is Hiring!